From the Editor – Are Large National Companies a Good Thing? has triggered a great deal of discussion within the green industry as well as in the financial community.  As you might expect, many landscape services company owners express strong opinions when it comes to the role of large national companies and whether they can provide the same level of service they can and do and whether the very existence of large national players is good or bad for the industry. After considerable reflection, I, for one, have become convinced that large players have a key role in the development and recognition of the industry taken as a whole. The capital attracted to the industry by high-profile transactions is significant and there is at least a trickle-down affect for the industry as a whole. In addition, the large companies shoulder their fair share or more of the cost of industry events and telling the industry’s story to the nation and its political leaders. We are seeing buy-side interest in the industry at levels we have not seen in quite a long time and that is partly due to the attention given to the large transactions. As always, if you are interested in buying or selling a green industry business, ready to begin exit planning or considering an exit strategy, we would welcome the opportunity to discuss your situation. With the news breaking that industry leaders The Brickman Group and the ValleyCrest Companies are nearing a tie-up, it is time to reflect on what this may mean for the landscape services industry. Click here for seven first thoughts. New regulatory scrutiny of leveraged lending in connection with corporate buyouts has caused some banks that participated n the financing of KKR&Co.’s acquisition of The Brickman Group to sit out the financing for the follow-on merger between Brickman and ValleyCrest. Charlesbook Capital Partners has acquired American Residential Services, Ltd. (ARS) ARS is the plumbing and HVAC business which is led by Don Karnes and Dave Slott, former top executives of TruGreen Lawncare. ARS employs many former TruGreen managers. Evergreen Turf & Tree of Troy, Ohio, has merged with Powell’s Lawn Care and Andewrson Tree Tech. Color Point, Inc., has signed a letter of intent to acquire Mid-American Growers. Both of these companies. Color Point ranks No.74 and Mid-American ranks No. 13 on the Top 100 Growers list. McCall Service of Jacksonville, FL has acquired Enviro Pest Control, also of jacksonville. Both companies provide lawn care in addition to pest control and termite services. Arizona-based Wheat Scharf Associates and LJ Design & Consulting have merged to form Wheat Design Group – Landscape Architects. If you know of green industry business sales or mergers & acquisitions that should be reported here, please contact us. Have you ever noticed that fire trucks always back into the fire station? Why don’t they just pull into their parking spot snout-forward like the rest of us? Backing in at the end of a shift saves them time when they have to get to a fire. They back in to be ready; whether the call comes in 5 minutes or 5 days, they are prepared to pull out as quickly as possible. Like the firemen, you, as a business owner, need to be ready when you get the call from someone who wants to buy your business. And these days, owners are getting that call more often. According to the latest Sellability Score data, the proportion of business owners who received an offer to buy their company in the quarter ending March 31, 2014 was up considerably from Q4 2013. Roughly 12% of business owners using The Sellability Score last quarter had recently received an offer to buy their business. The proportion of owners getting an offer is an important statistic because it measures one half of the equation of a business sale. For a transaction to take place, there must be both a willing seller and a willing buyer. For a list of businesses for sale, click here. This list represents a portion of the projects we are working on which may be if interest. Here’s a link to the article. Ron Edmonds of The Principium Group is quoted in the article. and in an online article from Landscape Management. Registration is open for Planet’s Green Industry Conference, October 22-24, 2014 in Louisville, Kentucky. This year is the 25th anniversary for the Greenm Industry Conference. The educational offerings and networking events look great. There are several new educational offereings.